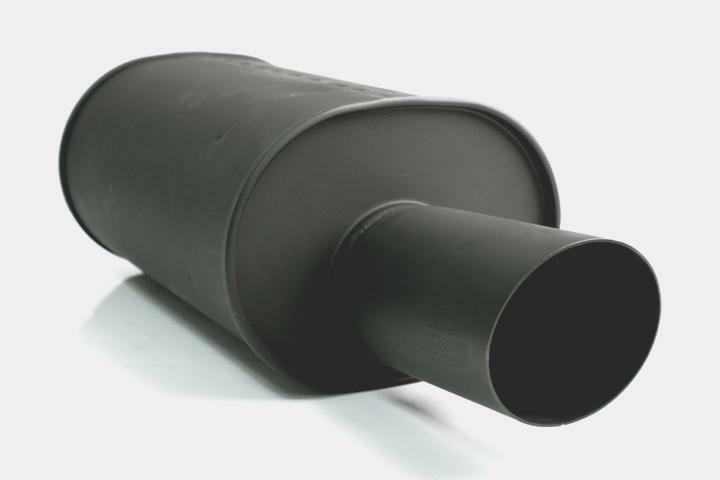 The NOIR (nwär) muffler was developed specifically with the diehard street car enthusiast in mind. Over the years it has became increasingly difficult to street drive a modified “sport compact” in some parts of the country. Staying low profile is an important issue to many street tuners who don’t want to deal with the negative stigma sometimes associated with modified imports. 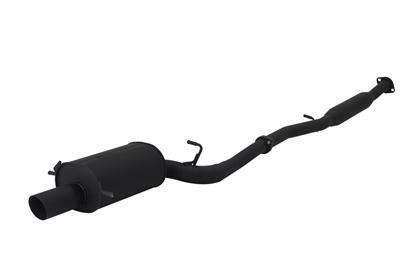 The NOIR Muffler is designed to be quieter than a typical racing exhaust while its stealthy black coating minimizes your chances of generating attention from unwanted sources. The WS style canister and 100mm tip finish off the system with a classic sporty look without being over the top.